Our wide selection of linens and tableware are sure to meet the needs of your event! We have selected these products for their durability and attractive appearance, and when you see them, we're sure you will agree! 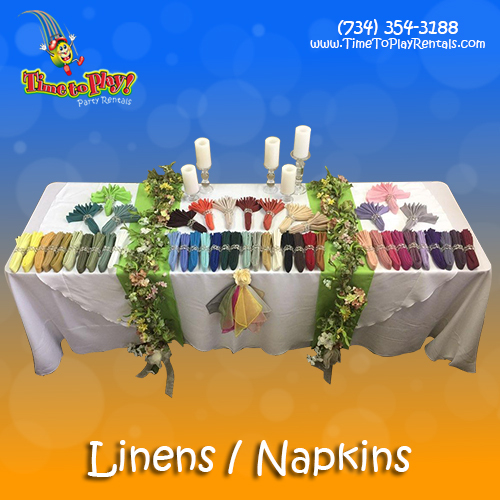 Our beautiful linens are offered in several colors and sizes! Our woven polyester linens are stocked in many traditional, classic colors to match the theme of your event. Linens are delivered pressed, hung and wrapped for your convenience. We would be happy to consult with you on the best linen choices for your event!